Metamorphosis is a performing movement work that consists of body percussion, hip-hop, contemporary and haka fusion. 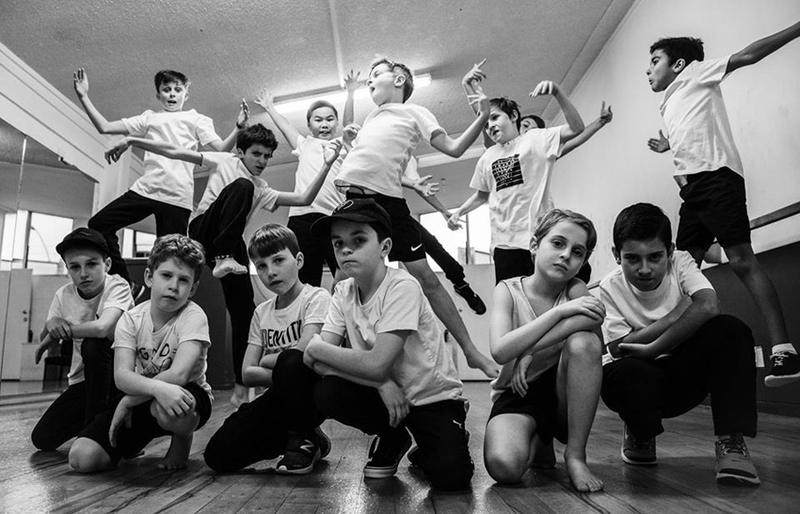 A 20 year anniversary for BoyzDance2, Metamorphosis is a celebration of its founding members and the new generation of dancers coming together to showcase their history and new works with a young cast of 30 boys aged 7-18. Under the creative direction of Richie Cesan and choreographed by former BoyzDance2 members - Andrew Cesan, Joshua Cesan, Simon Watts, Gareth Okan and Taniora Motutere - Metamorphosis explores significant works over the past 20 years of BoyzDance2. The show was divided in sections where each choreographer showcased a dance video from their early days as members, followed by choreography performed by the young cast of boys. Strong and beautiful images were displayed throughout the show interweaving three generations of dancers together. In the beginning Gareth Okan starts with a wushu stick in the spotlight which highlights the first generation of BoyzDance2. Gareth then passes the stick onto one of the younger boys (Arnie), which symbolises passing the torch to the next generation. This is followed by another young dancer (Liam) walking on stage with a taiaha (rakau) and challenging Arnie, he is then slowly joined and surrounded by the rest of the dancers which can be seen as a representation of strength, support and whānau as warriors. Another strong image was of the older boys being swarmed by the younger ones, creating an image of warriors hiding in bushes and on boats drifting apart. As the show unraveled there is a strong sense of brotherhood and unity through group choreography and presence. The energy from each dancer created a beautiful atmosphere. It is clear how thought-out the work was from the use of stage and media, and through the way the transitions flowed smoothly together. Metamorphosis was incredible, inspirational, and humorous, it really took the audience on a journey through history and toward what the future looks like for BoyzDance2. It was awesome to see three generations perform together and celebrate how the power of dance can bring everyone closer together to form a community of brothers. Original generation time 1.4135 seconds. Cache Loaded in: 0.0201 seconds.